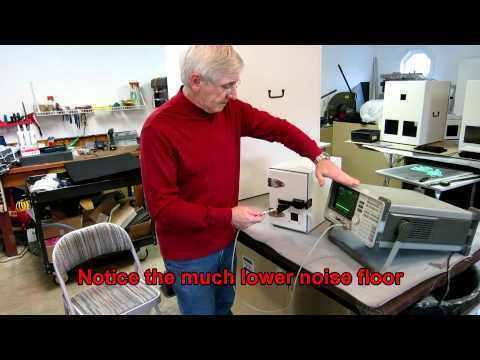 Verify proper shielding isolation of your entire test set up using this handy test verification kit. 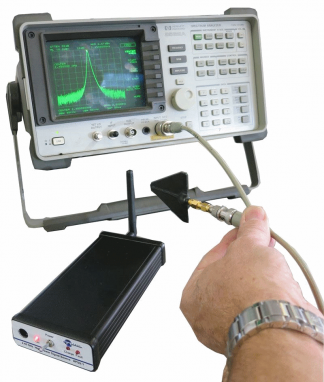 Consisting of a sensitive hand held spectrum analyzer and a high power test signal source in a rugged equipment case, one can easily measure test enclosure isolation better than -100 dB. Completely adjustment free reduces any chance for misreadings or set up, operation is simple - just turn it on. 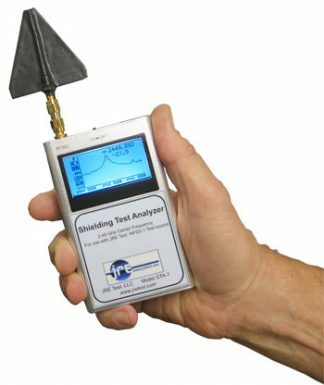 The STA-1 hand held spectrum analyzer is factory configured to a center frequency of 2.45 GHz, span of 2 MHz and a dynamic range on-screen of 115 dB. 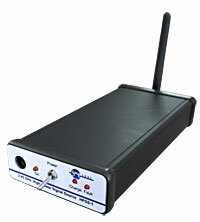 The RF signal source is the HPSS-1 which is enclosed in a rugged extruded aluminum case and produces a high power, 250 -500 mW signal at 2.45 GHz. A high capacity internal Li-Ion battery allows completely stand alone operation, there is no need for any external power supply or the need to feed power into the test enclosure, thus having the enclosure isolation barrier unimpeded. 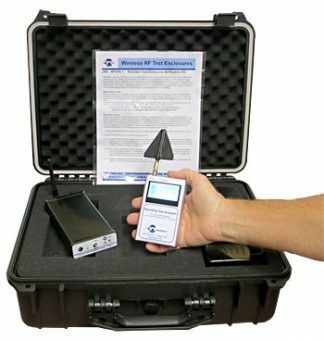 The JRE STA-1 and the JRE HPSS-1 are included as a part of the JRE TVK Test Verification Kit.